Comments: They work well, but I think if one side was a little smaller it would make them easier to press in. Comments: Actually, I bought the strut rod bushing for my garage to install, because his supplier sold only a complete strut rod that would have cost me almost 10 times more. 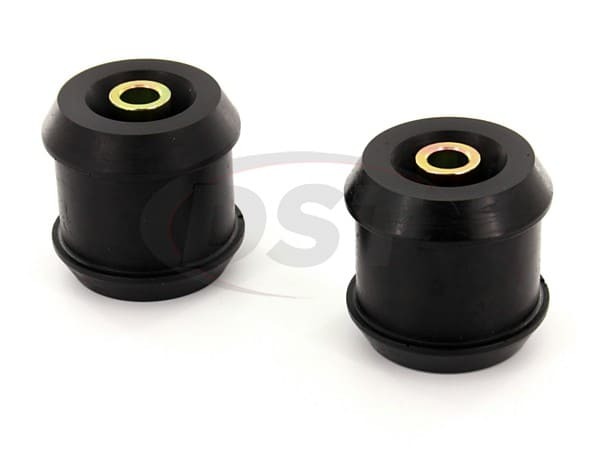 He wanted to use a one-piece bushing instead of the 3-piece Energy Suspension bushing. He was satisfied with the results. 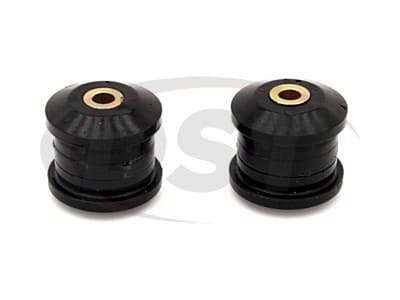 Comments: My mechanic gave me a price on a set of split bushings for a lot more money and not near the quality of this product. After I received the product I took them to him and he wanted to know where I got them. Very Impressed with the quality, shipping, and customer service. They just made a life long customer. Comments: I installed two front strut rod bushings and two lower control arms to replace my very old and worn stock ones. It tightened up my steering feel and reduced a bit of subframe play that happened upon hard cornering or braking. I have noticed an immediate improvement in day to day driving, and am looking forward to the next autocross.